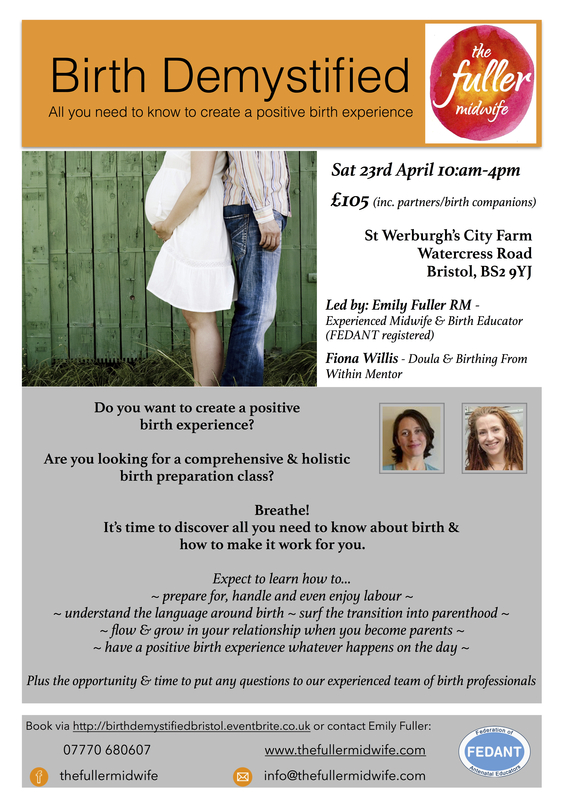 The Fuller Midwife is running it's unique birth preparation workshop in Bristol on Saturday April 23rd. Are you looking for a comprehensive and holistic birth preparation class? Are you wanting to learn how to create a positive birth experience? If you answered YES! - then this is for you! Birth Demystified is a one day workshop run by Emily Fuller (an experienced midwife with 15 years working both in the NHS and Independently) and Fiona Willis (experienced doula and Birthing From Within mentor). The workshop will take place in the newly built Connection Centre at St Werbergh's City Farm, Bristol. The investment for the day is £95 and you are welcome to bring your partner / birth companion with you for this price. There will also be the opportunity and time to put your questions to an experienced midwife and childbirth educator with 15 years experience in hospitals, birth centres & community settings. 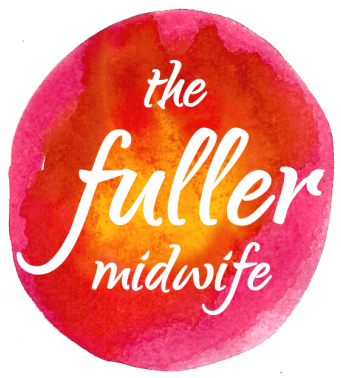 Emily Fuller is a registered, practising midwife (also registered and insured with FEDANT) and the founder of The Fuller Midwife offering comprehensive and holistic educational support throughout pregnancy and after birth. Fiona Willis is an experienced doula (registered with Doula UK), Birthing From Within mentor, belly dancing teacher, Shamanic Craftswoman, menstrual health mentor and qualified Shiatsu practitioner.